Changes in our eating habits and the sedentary lifestyles we have been living, have led to the emergence of one of the dominant pandemics of the twentieth century, obesity, which has led to the deterioration of the health of those who suffer from it and their physical appearance, so losing weight becomes a preventive measure, whose implementation requires the advice of a medical professional, because not doing so would endanger the life of the obese person. Obesity is one of the fastest growing epidemics in the world, mainly because of the junk food and the poor physical arrangement of people, which increases the risk of chronic diseases like diabetes as well as cardiovascular diseases, in addition to throwing low self-esteem, so losing weight becomes a necessity for obese people, from the healthy point of view and aesthetics itself, because all the human beings have always aimed to stylize their physical figure, it does not matter which gender they might be. But losing weight does not mean taking all the pills produced for this purpose or undertaking the strictest of diets to lose weight in a sudden, as it may cause permanent damage to the soft organs of the human body, like the heart, liver, kidneys or lungs. 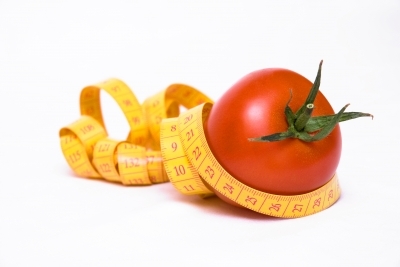 Losing weight means resorting to a medical professional who, after a proper evaluation, establishes an adequate weight reduction program that achieves the goal o losing weight in a healthy and sustainable way using a proper diet, diet pills and exercise programs that strengthen the muscles when they are flabby from all the weight loss. Losing weight also means been aware that eating too much and not exercising will translate in weight gaining and reducing the amount of food you eat and exercising will, on the other hand, translates in losing weight. While we continue not been aware of the excess weight we carry any weight loss program will work with us. Losing weight also means knowing that when the body is sharply reduced from the food we usually eat, the process proceeds to reduce metabolism and therefore not an ounce of our body weight will be loss, so it is best to keep all of our three meals per day, so that the metabolism of food is maintained at the previous rate. Losing weight also means implementing the exercise program that will allow existing fat in the body to be reduced and the muscles to get stronger, showing no apparent results, because probably when you weight yourself you will notice you have gained weight, which is why it is necessary taking our body measurements before starting the program and do the same as the weight loss process goes by, which will yield encouraging results. Losing weight is not a quick process but will gradually allow you to recover elasticity and strength in the muscles and, also, gaining a new sense of being in good health and recovering your image and self esteem. Losing weight requires much effort and self control, as it is about stop eating food with excess calories, fats, sugars and red meats, to proceed to eat white meat, with foods that are high in protein and carbohydrate contents, as well as vegetables. Losing weight without an adequate exercise routine is useless, so the program should include walking, running, cycling, swimming, even dancing is recommended. The duration of exercise should be no more than thirty minutes three times a week. The area of the body that should receive considerable attention is the abdomen.